What Is The Only True Regatta Chronograph in Rolex’s Line-up? 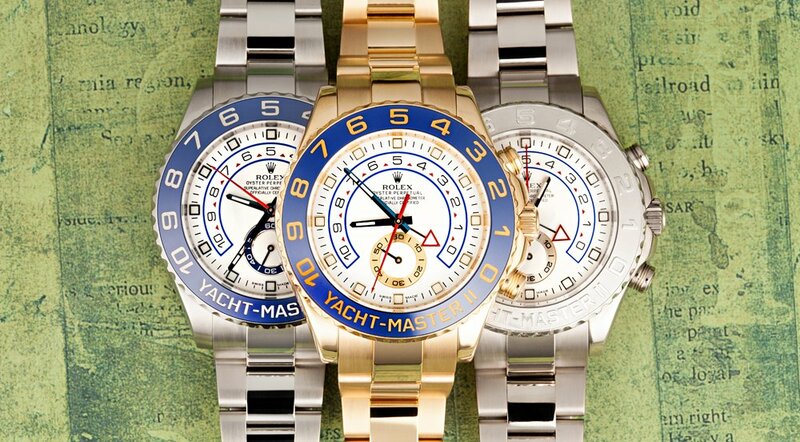 The original Rolex Yacht-Master was essentially a luxury version of the Submariner. Although it had a regatta-inspired name, the original rendition did not possess any special complications or features that catered to the world of yacht racing. 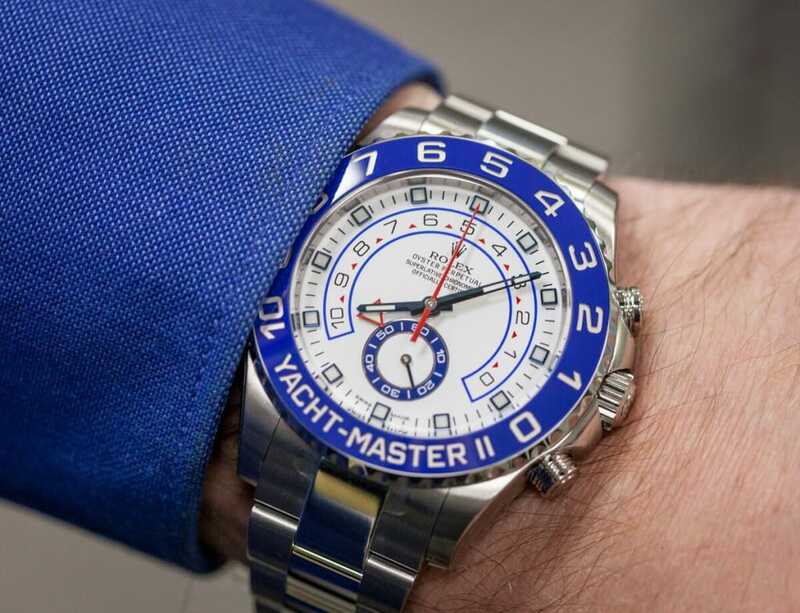 Rolex must have realized this oversight, because in 2010 they released an entirely new line of watches specifically intended for regattas: the Yacht-Master II. 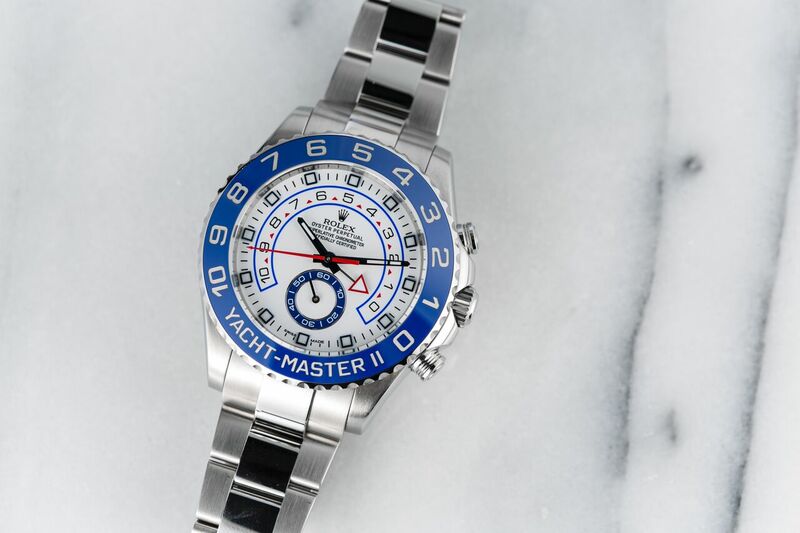 Rolex Yachtmaster II had a regatta-inspired name, the original rendition did not possess any special complications. Unlike the first Yacht-Master that shared many components with Rolex’s Submariner line of watches, the Yacht-Master II was an entirely new design. At the heart of the watch beats a caliber 4161 movement, which gives the Yacht-Master II the world’s first programmable countdown with a mechanical memory. The first Yacht-Master shared many components with Rolex’s Submariner. Once the countdown has been initiated, it can still be adjusted, entirely on the fly. This allows sailors to synchronize their watch with the official race clock to ensure maximum accuracy. Unlike the design of most other watches, the rotating bezel on the Yacht-Master II is actually connected to the movement inside, allowing it to function as the control interface for the adjustable countdown. The countdown has been initiated, it can still be adjusted, entirely on the fly. Like all watches made by Rolex, the movement and internals are shielded from the elements by an Oyster case with a screw-down crown and case back. This gives the Yacht-Master II a depth rating of 100 meters, while a scratch-resistant, sapphire crystal protects the dial. The countdown can be adjusted which allows sailors to synchronize their watch with the official race clock. Visually speaking, the Yacht-Master II is a rather large deviation from Rolex’s usual aesthetics, and its design is anything but subtle. The watch measures 44mm in diameter, making it the largest in Rolex’s current lineup, and the red hands and bright blue, Cerachrom bezel give the watch a nautical appearance, further adding to its extroverted style. The Yacht-Master II is currently available in four different metal options: stainless steel, yellow gold, Rolesor (stainless steel and rose gold), and a white gold/platinum edition. At 44mm wide with a solid-link bracelet, the stainless steel Yacht-Master II already has some heft to it, and weight only increases from there with the use of 18-karat gold and platinum in the premium metal versions. The Yacht-Master II is available in four different metal options: stainless steel, yellow gold, Rolesor, and a white gold/platinum edition. The Yacht-Master II may not the most practical watch for boat racing; a contemporary digital regatta timer would probably be a more reasonable option. 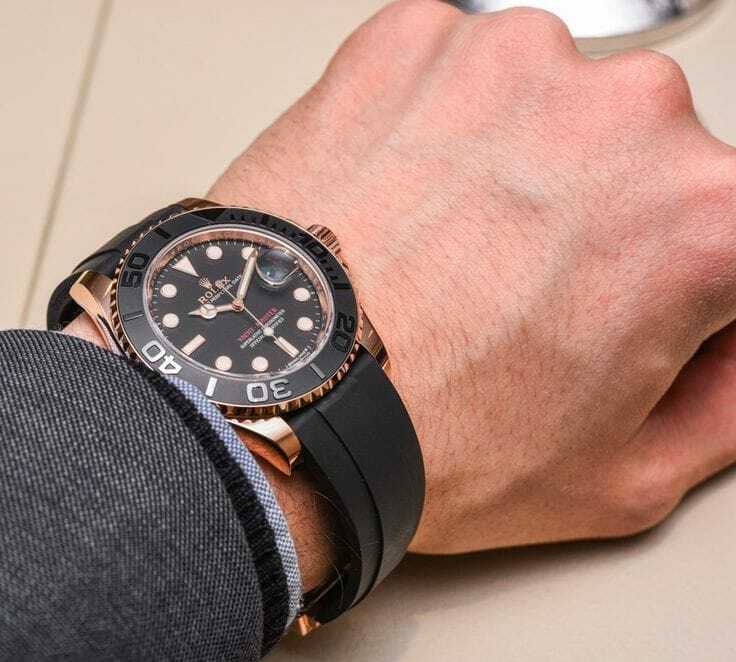 However, much like a solid-gold dive watch, the Yacht-Master II is more than just a utilitarian tool watch; it is intended to be a status symbol, alluding to one’s participation in a lifestyle sport. While the first rendition of the Yacht-Master lacked any features specifically intended for boat racing, the Yacht-Master II’s regatta countdown complication makes it about as niche of a sports watch as one can find. Overall, the Yacht-Master II is luxurious, playful, and larger-than-life – just like the sport for which it was created.